I’ve had some questions about the free subbws /subsites webpart we provide at this site and whether it will run on Sharepoint 2013, and the answer to that it yes. 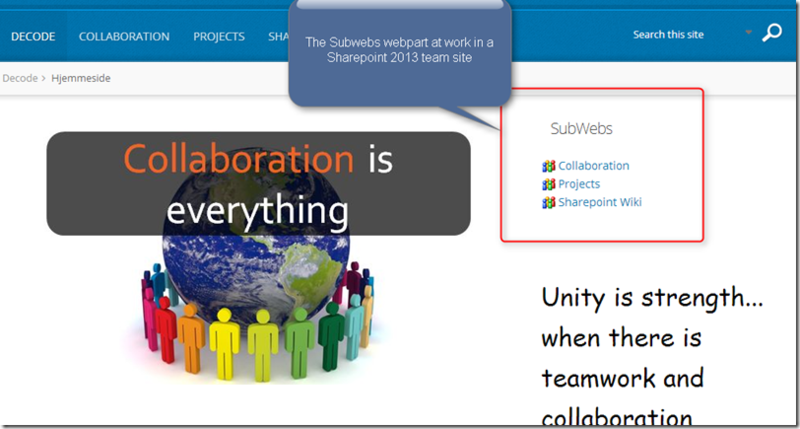 The webpart where developed for Sharepoint 2010 but will run perfectly on Sharepoint 2013 both portal and Foundation. Just download the 2010 version from www.sharepoint247.com/downloads and install on your Sharepoint 2013 server. Could you please advise if I am able to use a custom icon for this web part rather than the generic Sharepoint one? Love the webpart but need to brand it with our corporate icon. The only way to use your own icon would be to replace the generic Sharepoint one with your own. the webpart uses the icons from the _layouts/images folder so replacing those would work.